PuffleScape Rolls Into the Pet Shop! Today Club Penguin Launched their first application for Apple's App Store. As many of you know they released it today and I thought I would review it for you guys. Rockhopper Has Been Spotted Through the Telescope! Rockhopper, as always, will make an appearence at the Fall Fair. Today we first saw him nearing the island! I always enjoy following Rockhopper around and watching him tell stories :) Have you ever met RH before? New Dance Lounge AND Bit's and Bolt's Game! Coins For Change Reviewed By You! 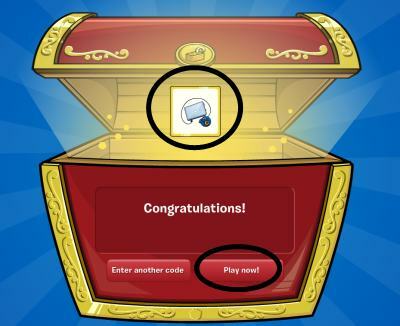 Card Jitsu Water Is HERE! New Stamps! Including Green Puffle Stamps! Your Green Puffle Can FLY!!! LOL!